In addition to the standard body composition metrics such as weight, body fat percentage and BMI, Heads Up Health now has the ability to help you track and trend your body tape measurements. If you want to skip ahead and start logging your measurements now, feel free to create an account using the button below. Or, read on to learn more about body tape measurements and how Heads Up Health can help you track and compare these measurements with all of your other vital health and fitness data. 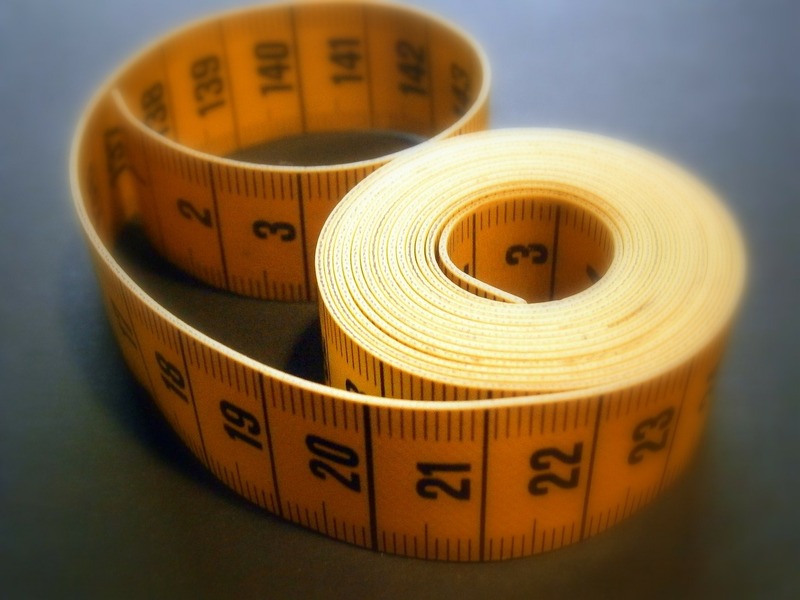 Why Track Body Tape Measurements? In many cases, you may be adhering to a well-designed nutrition and exercise plan but weight on the scale is not coming down the way you would like (it may even be increasing…). However, you notice your clothes are starting to fit better and you are looking and feeling thinner and more energetic. This is a common scenario. Although the absolute number on the scale isn’t moving the way you’d like, your body composition is indeed improving dramatically as fat is lost and lean muscle is gained. Body tape measurements are an excellent way to understand how your body composition is improving in these scenarios. If strength training is part of your regimen, body tape measurements are a great way to understand which muscle groups are growing and which may need to be attacked differently. One of the most rewarding parts about making healthy lifestyle changes is having a record of your progress over the course of months or even years so you can see how far you’ve come. Body tape measurements are a great way to understand *where* you are gaining, but it is also important to know *what* your are gaining. Thus, we also recommend tracking body fat percentage so you can determine if the gains are from muscle or fat. Additionally, Heads Up Health can help you compare your body tape measurements with all other health and fitness data (blood sugar, diet, exercise etc.) so you have a complete picture of how your lifestyle choices are affecting body composition. To add a new set of body tape measurements, simply enter values for the measurement sites you want to track and save your results (click to enlarge image). You can track measurements on your Heads Up dashboard alongside other important metrics(click to enlarge image). Periodically re-measure so you can correlate changes with your diet, exercise and lifestyle. Consistency: Your goal with body tape measurements is consistency. The tape should be pulled to where it is lying flat against the skin all the way around. The pressure you put on the tape isn’t that important; it is only important that it is the same every time you do it. Use the same process every time you measure to ensure accurate results. Dominant side: For measurements such as bicep, forearm, calf and thigh, we recommend using your dominant side to collect measurements. That’s it! You can create your free Heads Up Health account and start tracking measurements using the button below. If you’ve got comments, questions and/or feedback on how we can improve this feature, please contact us.